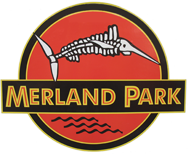 We held our Merland Park 2nd Annual Ice Fishing Derby over the weekend. It was a huge success again this year! We had 50 guests registered and we had over $5000.00 in prizes. The Derby started on Friday afternoon. We served a steak dinner with delicious roasted potatoes with grilled mushrooms and onions which were generously donated by Coach’s restaurant. We hosted a Texas Hold-Em tournament after dinner with the winners receiving great prizes! On Saturday, the ice was packed with fish huts, guys bringing in perch to be weighed for the biggest fish competition, others playing football out on the ice. Snowmobiles and ATVs were riding up and down the Bay. We even had a section of the ice cleared for the kids to skate and play hockey on! At 1:00, on Saturday, we held three contests and awarded prizes ranging in value from $250 – $1,500 to the three winners. The first contest was a Closest to the Hole – Golf Challenge. The guys had to swing a golf club and launch a tennis ball closest to the hole. The second contest was the Shirt Off-Fish Off. Holes were pre-drilled in the ice and the guys had to bait their hooks and then at the sound of the whistle take off their shirts! The first one to land a fish on their line won! The final contest was a Fear Factor Challenge. The participants had to get set up at their fishing hole, prepare their rods and then make their way to the bait station, put a minnow in their mouth and then return to their holes, bait their hook and first one to catch a fish with the minnow still in their mouth won! The guys were all great sports! There was a huge cheering section with lots of laughter and good fun was had by all. Then Saturday night, we hosted a fish fry with all the fixing’s up at the house feeding over 40 guests and then held another game of Texas Hold-Em. Merland Park donated a Helly Hansen survivor jacket as well as an Ice Fishing Package worth. Michael Bellefeuille, from Last Minute Hunting and Fishing.com, donated a camouflage hunting jacket and vest and Mathieu Godard donated a Guided Goose Hunt for two valued at $325. Ivan Rousseau donated a $550 Salmon Fishing Charter for six and a Scotia Bank prize pack was awarded. These were just a few of the many prizes given away over the weekend! The final contest was a Fear Factor Challenge. The participants had to get set up at their fishing hole, prepare their rods and then make their way to the bait station, put a minnow in their mouth and then return to their holes, bait their hook and first one to catch a fish with the minnow still in their mouth won! MerlandPark donated a Helly Hansen survivor jacket for the Fear Factor Challenge. Ivan Rousseau donated a $550 Salmon Fishing Charter for six and MerlandPark included an Ice Fishing Package as well to the winner of the Shirt Off-Fish Off and a Scotiabank prize pack was awarded to the winner of the Closest to the Hole. These were just a few of the many prizes given away over the weekend! The Derby ended Sunday at noon and all the participants came up to the house to get prizes that included Merland Park mugs, fishing tackle and supplies donated by Shaun Rickard from Urban Outdoor Adventures, hats donated by Bass Pro Shops and so much more. We had a great bunch of guys come out this year and a dedicated group of volunteers from the Picton Kiwanis Club. We would like to extend a special thanks to our Sponsors Canadian Tire, Coach’s Bar & Grill, Tim Horton’s, Scotia Bank, Castles, and Native Renaissance. Hope to see everyone again next year for another great weekend.